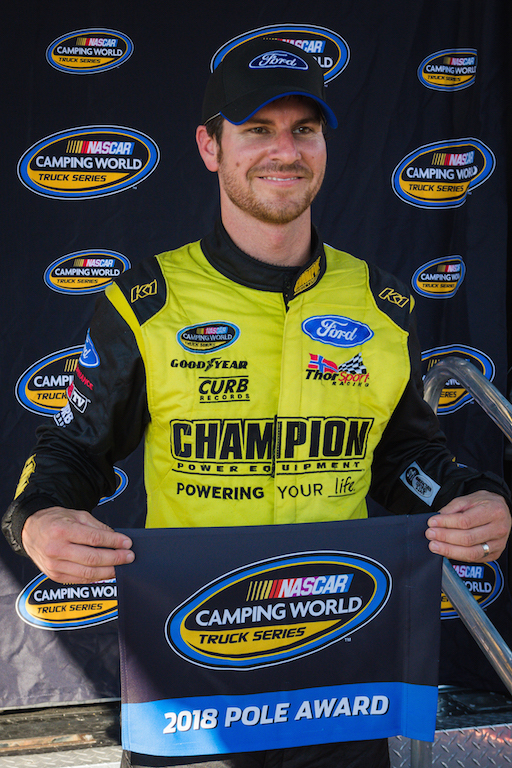 Grant Enfinger, driver of the No. 98 Champion Power Equipment Ford F-150 will start on the pole for tonight’s Villa Eaton 200 at Gateway Motorsports Park. This is Enfinger’s second career pole, and his first at the 1.25-mile oval, in two starts. Furthermore, this is the second pole for ThorSport Racing in 2018, and Ford’s sixth NASCAR Camping World Truck Series pole at Gateway. Qualifying is taped delayed on FOX Sports 1 now (7pm ET), and the 160 lap/200 mile race will air live on FOX Sports 1 at 8:30pm ET.